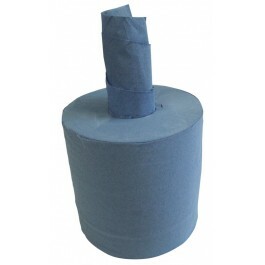 The System Hygiene Centre Pull Roll is a high quality 19cm roll. Centre pull rolls are a simple solution to hand drying and surface wiping, they can be used for general wiping tasks, personal wiping, hand drying and mopping spills. 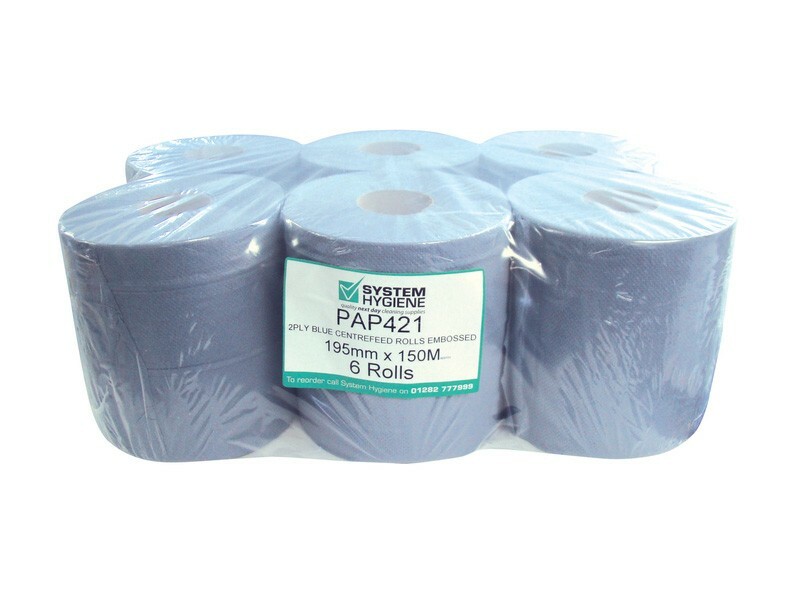 The roll is embossed for extra softness and absorbency, ideal for use in garage forecourts, warehouses, factories, kitchens, engineers and many more. This roll is designed for use in the Modular centre feed dispenser, but will also fit most other centre pull dispensers on the market. 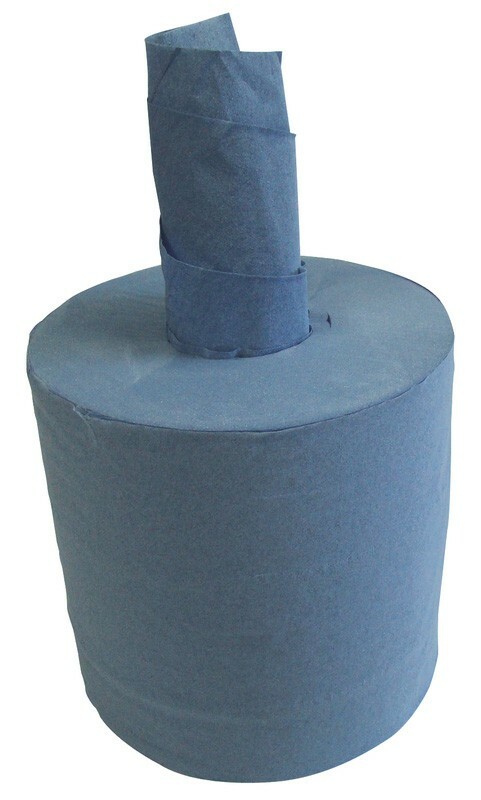 150 metres long, 2ply, blue, 19cm, 6 rolls per case. Simply remove the perforated core, place the roll in the dispenser and pull the paper through the gap.